Transparency is not a word often associated with education. For many parents, the time between 8 a.m. and 3 p.m. can feel like a mysterious part of their child’s life. Questioning students about their school day often results in an unsatisfying answer and not every parent has the time to be in constant communication with their student’s teacher. For teachers, transparency can have a distinctly negative connotation. In the political debate, the word is often used in connection to hot button issues like posting teacher salaries and benefits publicly or publishing test scores. And within the school walls, transparency can feel like judgement. Teachers can see principal visits as inspections, not respectful check-ins to offer encouragement and suggestions. No school is the same and dynamics between teaching staff and the administration are different everywhere, but for many teachers the classroom is a sacrosanct, personal space. Opening one's classroom to public scrutiny isn’t an easy thing to do. “In order for us to get more people involved, some of us are going to have to be twice as involved, go twice as deep and explain what we are doing in the classroom,” Vilson said. That means being vulnerable and willing to defend teaching practices to anyone who asks. But by welcoming a variety of voices into a discussion about what drives powerful learning experiences, and why certain teaching practices work and others don’t, the process becomes participatory. Everyone shares the responsibility for changing a system that matters to the future of the country. At Mission Hill School in Boston every structure in the school is based on transparency. 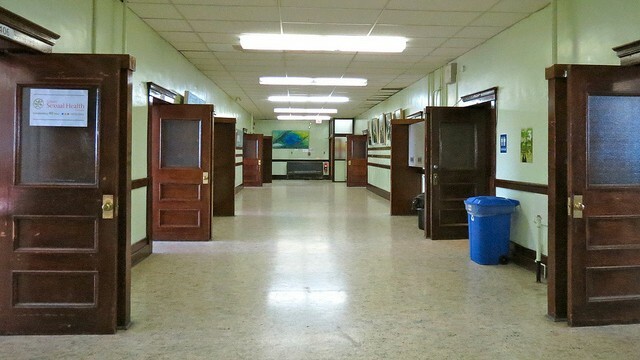 “Openness is the willingness to be disturbed,” said Ayla Gavins, principal of Mission Hill. At her school, teachers lead the effort to be transparent with one another and families and everyone else in the building tries to support that work. The school also has structures in place to support that kind of openness such as weekly meetings, short meetings before or after school and retreat time. There’s an understanding on her staff about what times of the day suit different kinds of meetings. As the leader of the school, Gavins believes that commitment to openness extends to school decisions. When Mission Hill had its budget reduced by the district, a group of teachers came together to figure out how to hire a new teacher with less money, and do it with the culture and integrity of the school in mind. Operating out in the open comes with a different level of accountability. Decision makers have to be prepared to explain and defend tough choices. Still, Gavins found this process less destructive to school morale and mission when done democratically than if she had made the decision herself. Being transparent is a decisive action and can be used as a tool.“Take advantage of your captive audiences,” Gavins said. She encourages her teachers to share their vision for the classroom in letters home to parents. That letter can be an important communication tool teachers have at their disposal to help parents understand why they are doing what they are doing. Test scores continue to dominate the public conversation about how well a school or teacher is performing. But a teacher willing to be open about what goes on in the classroom can help provide a different narrative. “I try to become a bridge between the quantifiable and the 'qualifiable,'” Vilson said. He wants to give the story behind the numbers, the narrative that makes those numbers matter. One way to promote change is to allow the outside world to see inside innovative classrooms, hold up positive narratives and be sure everyone knows the consequences of seemingly distant policy decisions.